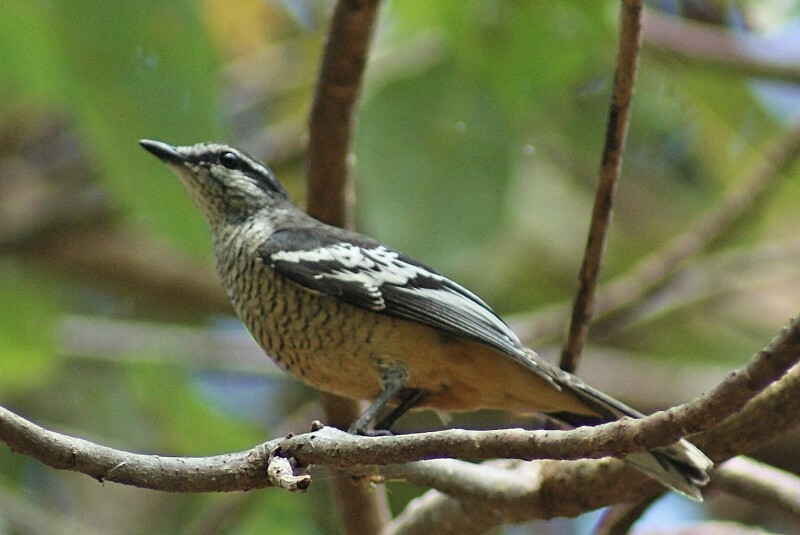 The Varied Triller is a bird of the northern and eastern coastal areas of Australia as well as Papua New Guinea and the Bismarck Archipelgo. They are found in various forest types, especially at the margins and can be very common in some areas. As the name suggests, the call is a trill - fast and downward slurring. 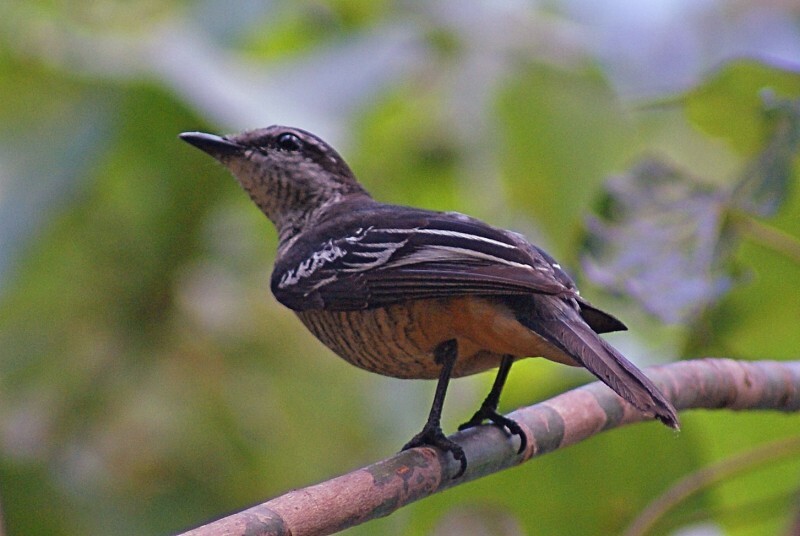 The trillers are related to the cuckoo-shrikes and cicadabirds, but are smaller at around 19 cm. The two birds here are females, which are browner than the males, which are a pale grey on the breast fading to white on the belly and throat. 1-2: Mt Whitfield, Cairns, Qld, 17/10/2011.